Sweet, healthy and delicious, and inexpensive to boot, pineapples are one of the world’s most desired fruits. On average, the world eats more than 26,000 tons of pineapples each year. But hidden beneath their low-price tag lies an industry riddled with heavy pesticide use, water pollution, deforestation and the exploitation of farmworkers, who are forced to work in risky conditions and for low wages. The dark side of the pineapple industry is rooted in Costa Rica, the world leader in pineapple production, producing more than 6.4 million pounds each year. The featured film, “The Bitter Price of Tropical Fruits,” produced by Arne Lorenz and Petra Pommerenke, explores the true cost of Costa Rica’s pineapple production, revealing how large-scale producers use pesticides and cheap labor to maximize their profits. The film begins in the early morning hours of a wholesale market in Hamburg, Germany, where pineapple and other exotic fruits from around the world, including melons, bananas, mangos and oranges, make their way into the country. Germany is one of the largest consumers of pineapple in the EU, importing more than 150,000 tons each year, the majority of which comes from Costa Rica, according to the film. The pineapple and banana trade are inextricably linked. The same handful of multinational companies controls both markets. These companies include Dole, Del Monte, Chiquita and Fyffes. Prices are kept low by the monopoly and the power held by supermarkets. In Germany, consumers pay just €1 to €3 ($1.15 to $3.44) per pineapple, regardless of the brand. In Germany, the largest purchasers of exotic fruits are supermarkets and discount chains, which sell more than 90 percent of the nation’s imported goods. The buying power held by these retailers makes them important players in the global food trade, as well as the global pineapple trade. This power allows supermarkets in Germany to dictate market prices. This theory is supported by Franziska Humbert of the international charity Oxfam International, who helped conduct a study on growing pineapples in Costa Rica. She says that small suppliers are blocked by big retailers from selling their goods on the German market. Who Profits From Pineapple Production? The film breaks down the economics of pineapple production, illustrating who earns what. Supermarkets and discount chains profit the most, pocketing nearly 43 percent of the total profits involved in pineapple production. Producers, often the major international fruit companies such as Dole and Chiquita, come in second, earning about 25 percent of the proceeds. Farmworkers earn less than 10 percent. Can consumers buy pineapple with a clear conscience? The film heads to Costa Rica to find out. A dream destination for many tourists from the U.S. and Europe, Costa Rica is a rugged, rainforest-dense country with untouched beaches that stretch for miles along the coastline of the Caribbean and Pacific Ocean. Costa Rica’s rich flora and biodiverse rainforests make it a model country for ecology. Costa Rica is doing well economically, too, as it’s one of the richest countries in Central America. Agriculture is the backbone of Costa Rica’s wealth. Its tropical climate is ideal for growing many different kinds of tropical fruit, which can be grown all year-round. Organic pineapple production can be costly and time-consuming, as the sweet fruit has a lot of natural predators. The film interviews Freddy Gamboa, an organic farmer who says weeding requires the most work. Only 1 percent of pineapple exports to Europe are organic, according to the film. A recent scandal involving fake organic pineapple exported from Costa Rica to the U.S. did not bode well for the industry’s reputation. 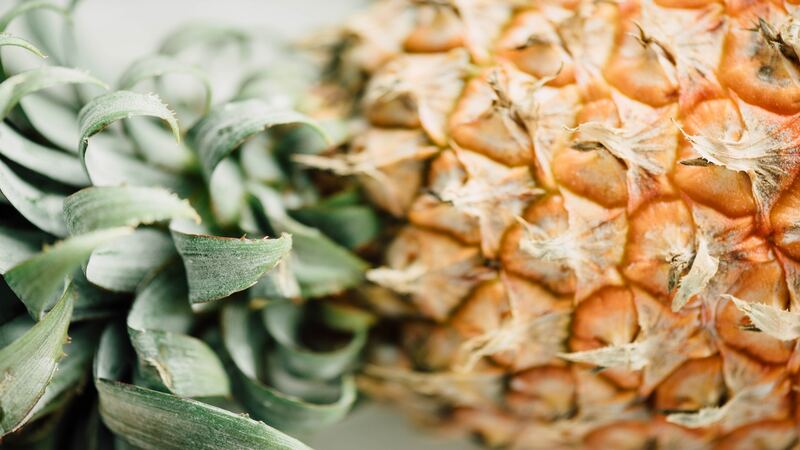 “The two certifiers criticized in the legislators’ report — PrimusLabs, of California, and Kiwa BCS Oko-Garantie GmbH, of Germany — approved production of Costa Rican pineapples allegedly grown with chemicals forbidden in organics.